Institute of Evangelism to Judy Paulsen, the Professor of Evangelism. Here the outgoing and the incoming Director of the Institute quizzed one another about the past and the future. Judy: So John, what do you feel most satisfied about as you look back on these nineteen years at the Institute? John: The main joy, I would say, is having seen generations of students pass through Wycliffe College, and know that I have had a small part in shaping them for their leadership in the church in the areas of evangelism and mission. That gives great satisfaction. In terms of ministry outside the college, there are churches which today are more at ease with “the e-word” than they were. They understand that evangelism is simply overflow, overflow of the life of Christ—and an explanation of where that life comes from. And some have taken simple steps like offering a Christianity 101 course, or learning to tell their faith story. I believe there is also a deeper appreciation of the word missional in its various dimensions. Just as important, I think we are coming to understand that neither evangelism nor mission is something we undertake in order to avoid death! Some existing churches will thrive, others will die—that’s just the way it is—but either way, churches exist in order to participate with God in God’s mission. On a more personal level, I am very aware that my five books have all been published during these years—and I’m not sure that could have happened without the encouraging atmosphere of the College, not to mention the freedom of a few sabbaticals! So I’m grateful for that. Judy: Is there anything you regret? John: Of course. One biggie is that it would be nice to be able point to specific individuals who have come to faith in Christ directly or indirectly through the work of the Institute. One immediately comes to mind, who ended up studying at the College and is now in hospital chaplaincy. I do believe there are others, in churches where the Institute has had an influence, but often people don’t give us that feedback—and maybe it is better that way. Looking back, I think also we should have spent more in-depth time coaching those individuals and churches that wanted to engage in mission and evangelism. There has been a lot of broadcasting of the seed, like the sower in the parable. To take that image further, we should probably have spent more time cultivating the seed that was growing in good ground, and less on pulling out weeds and clearing stones in places where the seed was unlikely to take root. Judy: What will you miss? John: I already miss the interaction with students—the give and take of the classroom and the personal conversations over coffee or lunch—and seeing them grow. That’s the main thing. But some of the other things will continue—the writing, the speaking at conferences, and so on. And there is a growing number of younger pastors and church planters I relate to as a friend/mentor, so that’s in a sense a natural extension of working one-on-one with students. Judy: What comes next for you? John: Well, as you know, in January I will turn over the leadership of the Institute into your capable hands! I will still retain the leadership of Wycliffe Serves till the summer of 2016. Then I am due for a sabbatical in the second half of 2016. I am hoping to research why people in Canada are becoming Christians. Everywhere I go I meet new Christians—quite a counter-intuitive trend—and I know you do too, so what is bringing them to faith? Is it friendships, or certain kinds of church, or Alpha? Perhaps they are all reading C.S.Lewis! So what is going on? I think the answer to that question will help churches focus their evangelistic energies. And I will then retire at the end of 2016, although Wycliffe has asked me to stay on, on retainer, for a further three years, which is nice. So now, let’s talk about you! John: What attracted you to this position? Judy: I love that the Institute’s working mission is to enable every church to be an evangelizing community. I can’t think of a better task to spend my time on. John: Do you have sense of how God has prepared you for this job? Honestly, in some ways I would seem to be the least likely person to be either teaching evangelism or serving as Director of the Institute of Evangelism. I simply don’t fit many people’s idea of an evangelist. I love Scripture, but have never been able to pull out just the right passage to answer every question. I love thoughtful and respectful apologetics, but rarely find myself engaging in such debates. I love helping people explore spiritual issues, but often do that more by asking questions than by presenting arguments or giving advice. I love teaching and public speaking, but am actually a rather shy person. But therein lies the beauty of the way God works. 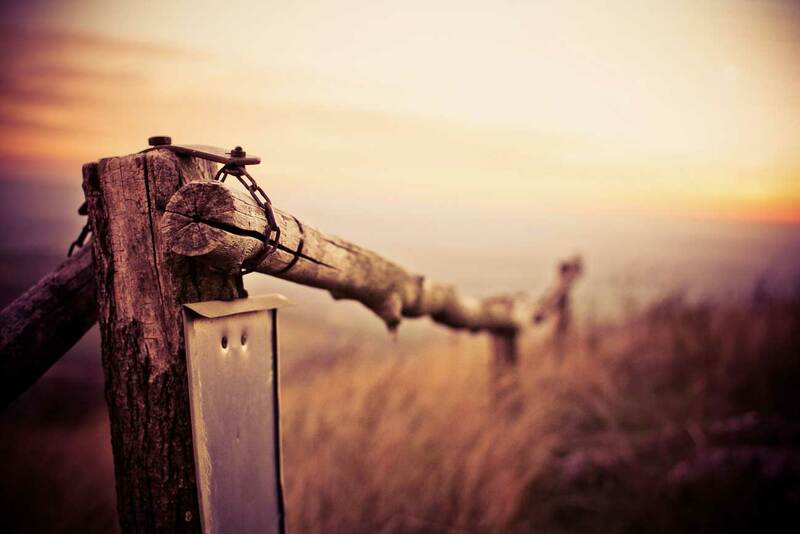 Throughout Scripture we see that God often leads surprising people into places of leadership. Given all of that, I think what has most prepared me for this new role is the life I’ve lived. Simply being who I am, God has consistently led people who are curious about him into my path, and God has always shown me how to frame the Gospel in such a way that it’s real to them. Such conversations and relationships have been one of the great joys of my life. On top of that, having served as a parish priest and pastor for sixteen years, and for many years before that in various roles of leadership, I’ve seen first-hand how important healthy communities of faith are to the spreading of the good news of Jesus. My Doctor of Ministry degree in Missional Leadership (from Fuller Theological Seminary) allowed me to explore this deeply. I’m more convinced than ever that the cultivation of healthy, vibrant churches, and the people in them being freed to see themselves as bearers of God’s invitation, is key to evangelism. John: Well, those things are some of the reasons I knew you were the right person for this! So now, what are the main challenges you see facing churches who want to engage in evangelism in today’s world? Judy: One challenge is to help Christians see the sharing of the Gospel as a natural part of the Christian life—every Christian’s life. For centuries now, we’ve thought of evangelism as something done by preachers, pastors, overseas missionaries, and people ‘specially gifted’ as evangelists. That nicely left most Christians off the hook, and left us with a very narrow view of evangelism. I think it’s time to renew the confidence of Christians that whether they are a brand new believer or a life-longer follower of Jesus, whether they are an extrovert or introvert, whether they are bold or shy, God wants them to pass along the gracious invitation that God extends to every human being. Another challenge is to get churches reengaging with the communities around them, so they can build relationships with people who have never heard the Gospel or seen it in action. Churches need help to assess how their structures and practices may have largely ignored evangelism. People need encouragement to talk about their faith, both within and outside their church buildings. I have some ideas about how we might do that. And frankly, I can’t wait to get started. Judy Paulsen serves on the faculty of Wycliffe as Professor of Evangelism, where she teaches on the relationship between the gospel, church and culture, organizational change, and both corporate & individual evangelism. 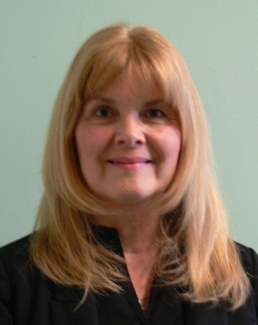 She serves the broader church by teaching at conferences and retreats across Canada. Her research into the discipleship of people through a multigenerational form of worship was included as a chapter in Messy Church Theology, published in the UK in 2013. More recently, Judy served as a co-author of “Invited”, a study series for churches encouraging an invitational sharing of the gospel, published by the Diocese of Toronto in 2015. Seminaries are generally introverted by temperament. Churches send their students to their denominational seminaries to be “formed” for ministry, and at the end of three years the students graduate, duly prepared (to some extent, at least) for the rigours of congregational leadership. But most of the formation happens behind closed doors—in classrooms, chapel, refectory, and informal groups. For many people and many churches over the years, this has been a relatively successful system, not likely to change to any radical degree any time soon. But is there such a thing as an extraverted seminary? Could there be? What if those resources presently turned inwards, to the in-house formation of students, were also turned outwards to the churches? What might that look like? And what might be the effects? Of course, most seminaries have some extraverted activities already: continuing education conferences, faculty members going out to preach and speak at conferences, student missions, and so on. But what if this were a major ministry of a seminary? What then? These are thoughts that went through the minds of the Wycliffe College board during the past year, as they went through a Strategic Planning process. And one thing that emerged at the end of the process was a new centre at the college called Wycliffe Serves! This is a hub from which will radiate all the ministries by which the college serves the church outside the walls. Some of these ministries exist already: the Institute of Evangelism, of course, has been doing this kind of thing for over twenty years. But Wycliffe already offers other events which serve the church, such as “preaching days,” and the annual high school program during March Break called Arise! To these we plan to add more: seminars on clergy wellness led by our professor of Pastoral Psychology, Wanda Malcolm; help for inner city pastors from experts such as our adjunct professor Steve Shaw; and courses and seminars on children’s catechesis (based on the booklet Reimagining Children in the Church). And we are presently in the midst of negotiations with Messy Church in the UK in hopes that it too may come under the umbrella of Wycliffe Serves! Our expectation is that eventually there will be a Wycliffe Serves! event almost every month. How will this be organised? A couple of months ago, I wrote in good idea! that the Rev Dr Judy Paulsen would be taking over the teaching half of my job, and that has already begun. I will continue to direct the Institute of Evangelism half-time, but now the other half of my work will be taken up with directing Wycliffe Serves! By the grace of God, we look forward to a future where we combine the “introverted” work of forming students for ministry with a more robust “extraverted” ministry of serving churches to equip them for mission and ministry in these challenging times. Stay tuned for more information! Two strategic conferences recently took place in the East and West of Canada. In Toronto, some 200 people showed up for the seventh annual Vital Church Planting conference, co-sponsored by the Diocese of Toronto and the Wycliffe College Institute of Evangelism. Some came from as far away as Halifax, Nova Scotia, and Sault Sainte Marie, Ontario, and seven or eight denominations were represented. One draw was undoubtedly the plenary speaker, Bishop Graham Cray, who is currently the Archbishops’ Missioner and Team Leader for Fresh Expressions UK. Graham was also the chair of the committee that wrote the ground-breaking Mission Shaped Church report, back in 2004. Workshops explored different ways that discipleship can be encouraged, all the way from children’s ministry to preaching and teaching, and to small group ministry. Bishops, diocesan executives, and leaders of other denominations had their own track of workshops, led by Bishops Linda Nicholls and Graham Cray, to discuss issues of putting discipleship into the DNA at the heart of our church structures. On the Saturday of the conference, sixty new people (mainly laity) joined the conference for an intense day of learning. After an introductory talk from Graham, folk went into a series of three workshops, with a break for a bag lunch, and then ended the day with worship and a closing charge from Graham. A number of those who have been to previous VCP conferences said this was the best so far, and I tend to agree. After the Toronto conference, Graham and Jacky Cray, Nick Brotherwood (of Fresh Expressions Canada) and I flew on to Edmonton for their Vital Church Conference. Here there were three plenary speakers: Bishop Graham, James Penner (an expert on Canadian youth culture and spirituality), and Terry LeBlanc (an Aboriginal Christian leader). Although at first there seemed to be few connections between the three topics, by the end it became clear that the thread connecting them was the importance of relating church to different cultures, and not seeking to impose a form of church that is alien—whether on young people, First Nations, or other groups presently uninvolved in church. For many of us, the highlight of the conference was the panel discussion, chaired by Nick Brotherwood, on the final day, when the three speakers got to interact—often humorously—with one another over these issues. 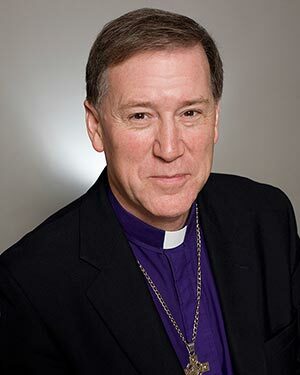 About seventy-five people attended the conference—the third such, co-sponsored by the Diocese of Edmonton and the Wycliffe Institute. Archbishop Rowan Williams coined the phrase some years ago, “the mixed economy.” By that, he meant that the church in these post-Christendom days needs to pursue God’s mission along two fronts: the revitalization of existing churches, and the planting of new Christian communities. These conferences helped move both agendas forward. The only question now is what we will do with what we have learned. who will be a speaker who will be a speaker at both Vital Church Planting West & Easy conferences this May. Fresh Expressions Canada is delighted to see that our leaders recognise this need as being the major issue that faces us, and is committed to doing all it can to see the church become more Jesus-centred and mission-shaped. Watch short promotional video here. 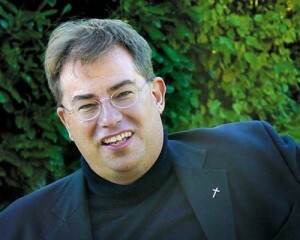 Bishop Steven Croft will be the main speaker at both VCP 2011 East & West . “One of the most common misunderstandings about fresh expressions is the belief that they are new types of worship service. It is an understandable mistake as worship lies at the heart of the life of the church, and fresh expressions are new congregations or churches, (not rebranded or experimental church services). There is also an honourable stream within, and pre-dating, the Fresh Expressions initiative, called ‘alternative worship’. However, our recommendation is that the shaping of an act of worship normally lies near the end, rather than at the beginning, of the planting process. There are a number of reasons for this. Ideally fresh expressions are planted following a process of prayerful listening, and making relationships through acts of service. But if the initial point of contact is a worship event it can only be one which it is hoped the relevant people will like, rather than one which they are involved in shaping, or which we can shape for them with greater care, because we know them. There is also a danger of self indulgence, of creating an event which suits us, or which relieves the frustrations we have with the worship in our own church. ‘I like it so they will as well’ is not the way to plant. What Mission-shaped Church called ‘dying to live’ challenges us to sacrifice our preferences for the sake of what is appropriate for others. Finally it is likely that the result will be an event to attend rather than a church community to which to belong. If there is no intention to form a new congregation, it is not a fresh expression ‘of church’. To begin with worship may be feasible for the de-churched, who retain a memory of what church was like (up to the point they decided to leave! ), but it is less likely to be appropriate for the largest part of our adult mission field, those who have never been involved before. For many worship is culturally strange. They don’t have the toolkit for worship. They don’t know the Biblical story. They only community sing at football matches and they don’t understand our vocabulary. With them we have to start much further back. Of course, if a fresh expression is planted by transitioning an existing piece of work in the community, then the listening, serving, community forming and witnessing have probably already taken place. In which case you are not starting with worship, but introducing it at the right time. A culturally appropriate, recognisably Christian practice of worship, including baptism and holy communion, is the aim for all fresh expressions that hope to endure, but mostly it is a later development, not the starting point. The landscape of the church is changing and we are faced with a culture that has, “less knowledge of the faith,” with each successive generation. 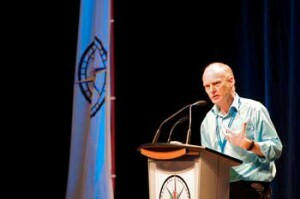 Through a dynamic presentation full of startling statistics to General Synod 2010 on Monday, June 7, members were encouraged to consider new approaches to the environments they minister in.